By Stephen Pate – Microsoft is slashing the price manufacturers pay for a Windows 8.1 license to $15 from $50. They hope it will help OEMs compete in the under $250 retail market for tablets. The price cut will not be enough to convince people buying low-end Windows 8.1 computers because they are harder to use than small devices from Android. The bargain pricing, announced by Bloomberg, will supposedly help Microsoft compete against Google which dominates the low price computing devices market with Android and Chromebooks. Microsoft used a low license price, in the past, with Windows XP to combat low-priced Linux netbooks says The Verge. Lowering the OEM license fee eliminates one barrier to the slide in sales of Windows small screen computers. In the 2013 sales of PC devices dropped 10% while sales of smartphones and tablets grew. The handwriting is on the wall for Windows-based computers. Even with sales of Windows 8.1 at 200 million devices, that is 20% below 240 million licenses of Windows 7, the earlier release of Windows. The biggest problem is that Windows 8.1 is not designed for small screens. Microsoft should finish the code for Windows 8 or use a variant of Windows Phone 8 on small screens. 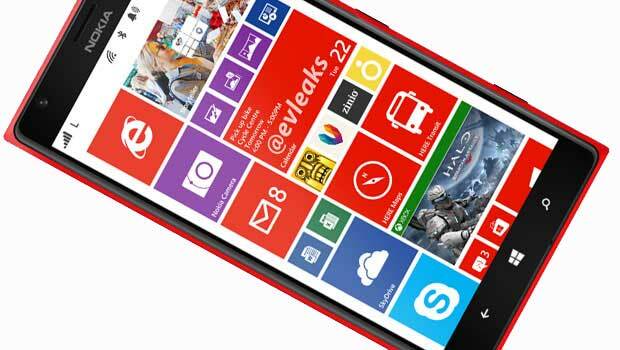 Microsoft has Windows Phone 8 which works on devices with 6&Prime screens, like the Nokia Lumia 1520. Windows Phone 8 is easy to use and users don’t get dumped to the Desktop. Presumably Microsoft could extend the capabilities of Windows Phone 8 to use OS to 7&Prime and 8&Prime screens and compete with the Android devices. There are rumors that Windows RT and Windows Phone will merge this year or next. The smallest screen that works for Windows 8.1 , but only with a real keyboard and mouse, is the 10.6&Prime screen that Microsoft uses for the Surface. People prefer Android to Windows. You can’t advertise and price yourself out of a hole in the ground when customers prefer the alternatives, which has been the Microsoft strategy. If they convince you to buy a small Windows tablet and it is hard to use, then lowering the price is not going to change your opinion. Windows 8 is a still a keyboard and mouse driver operating system. Apple legitimized the icon device with the iPhone and iPad. Google’s Android is a better adaptation of Apple icon interface, for which Apple sued Samsung. Android is now the most popular operating system for tablets and phones. Icon interfaces use your finger to navigate with some on-screen keyboard data entry. Microsoft’s Windows 8.1 is a partial change from the 20-year-old Windows mouse driven user interface. Tiles replace icons. If the public buys into that difference, which I believe they will in time, they are still faced with the remnants of Windows 7 beneath the tiles. Microsoft only partly finished Windows 8.1. You must go to the old-style Windows Desktop to run most functions including their own flagship Microsoft Office. The result is a challenge for people using Windows 8.1 on 20&Prime monitors, On a 7&Prime or 8&Prime tablet, Windows 8.1 is a disaster. The tiny buttons and text of the old Desktop have people heading to the optometrist for new glasses. 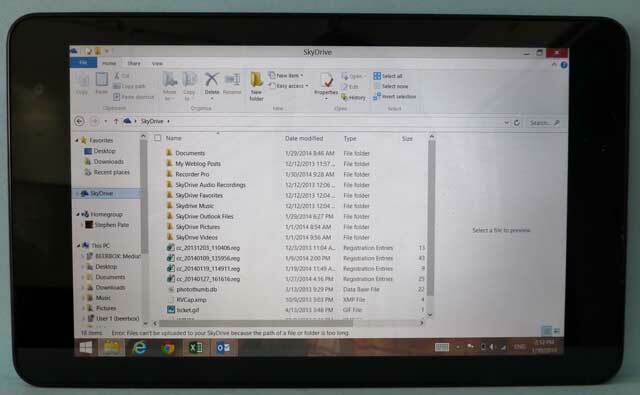 Windows 8.1 stops being fun the moment a Modern app won’t do the job. You are back in the land of Lilliput where everything is tiny. Since Modern apps are acknowledged even by Microsoft to be light on functionality, users are forced to work with their fingers on screens that need a mouse and bigger size. Most of the Windows tablet tech reviews gloss over the problem with Desktop but if you read carefully, you will find a choice sentence that skirts the issue. 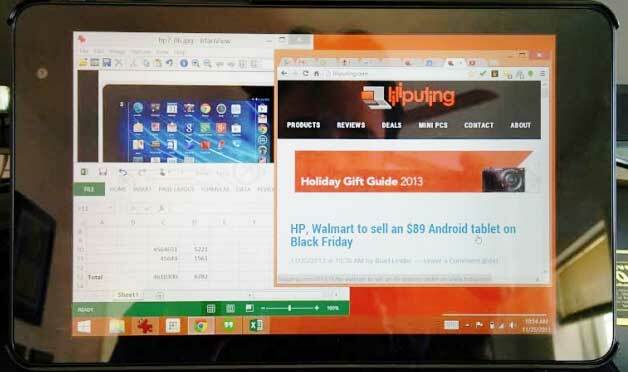 I have tablets running Windows, Android and Apple operating systems. The only Windows tablet worth owning was the Surface with a 10.6&Prime screen. I simply hated the smaller Windows devices which is unusual since I work with Windows 8.1 and Windows Phone 8 all day, every day. For tablets I prefer Android (Nexus and Kindle) and Apple (iPad and iPad Air) which are icon driven. Until Microsoft gets rid of the Desktop in Windows 8.1 nothing would convince me to enter the Windows tablet world again. Follow me on Twitter at @sdpate or on Facebook at NJN Network and OyeTimes.